We offer knobs for all versions of the Celestron 9.25” f/10 SCT secondary with either standard or metric collimation screws, including Fastar, non-Fastar, and EdgeHD versions. Select knobs for your telescope from the list below. 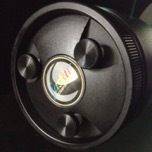 Special Note: The Celestron 9.25” SCT uses either standard 6-32 or metric M3 collimation screws. Allen and set-style factory collimation screws have standard threads. For Phillips collimation screws, most silver screws are standard and most black screws are metric. See our hints for more information. Fits: Celestron 9.25” (23.5 cm) f/10 SCT versions with standard collimation screw threads (not for CPC 925 or EdgeHD). Silver factory collimation screws have standard threads. Our hints will help you determine which screws are on your telescope. Make sure the knob threads match the factory screw threads before installing the knobs. 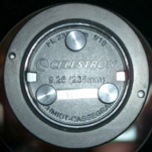 Celestron 9.25” SCTs manufactured prior to 2006 have standard collimation screw threads. Fits: Celestron 9.25” (23.5 cm) f/10 SCT versions with metric screw threads (CPC 925). Not for C9.25 with “Trifid” Faster or EdgeHD optics (see Item C below). 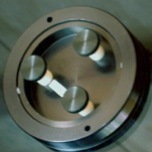 If your telescope has the “Trifid” Fastar rotary cover, these knobs will not fit. Order Item C below. These knobs fit the Celestron 9.25” f/10 SCT with a Fastar secondary which has black Phillips factory collimation screws that are recessed into the secondary housing. These versions may or may not have EdgeHD optics. Knobs include a set of long spacers so they sit slightly above the rotary cover opening.